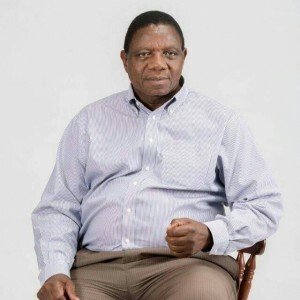 A SECOND candidate has emerged for the Highlanders executive treasurer’s position, with Nkululeko Ndlovu yesterday declaring that he is gunning for the post after being approached by some members. Ndlovu, a losing candidate for the Highlanders secretary general’s post in last year’s elections said some members encouraged him to contest as treasurer. He has not done much in terms of campaigning to win the hearts of the voters. “I am interested in being Highlanders treasurer, I have not done much in terms of campaigning. I was just approached by some concerned members, I said I will follow what members want because it’s their club,’’ Ndlovu said. 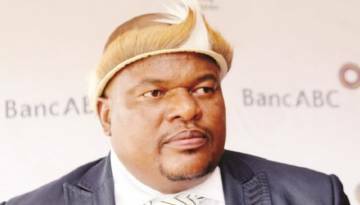 Should Ndlovu go ahead with and contest, he will square off against incumbent Donald Ndebele come day of elections on 3 February. Ndebele has been looking after the Highlanders finances since June 2015 when he was co-opted following the resignation of Jerry Sibanda. In the last election held in 2016, Ndebele defeated banker Charles Ndlovu by 115 votes to 86. For the post of vice chairman, Modern Ngwenya, who is seeking a fresh mandate from members has businessman Longwe Ndlovu standing in his way. Yesterday, Ngwenya and Ndlovu were full of confidence that what they have done for the club is good enough to earn them votes. Ngwenya, who collected his nomination papers yesterday morning, appears to be riding on the sentiment that there is need for continuity since there is a perfect working relationship in the current executive. “My campaign is going really well, I am almost complete, I have approached everyone who needs to approached. Nothing beats experience so my three years experience will help the club’s elevation from one level to another,’’ Ngwenya said who has held the VC post since 2016. Ndlovu, known as the man who facilitated the deal to bring eccentric striker Roderick Mutuma to Highlanders in 2017 when he pledged to add onto his signing on fees and supplement his monthly salary. Mutuma however left Highlanders midday into the 2017season. Ndlovu has committed to donating a cow and water to Highlanders for the first team’s pre-season camp which starts early next month. “All is well, my campaign has gone well, it certainly looks promising, I am very confident of victory. I am collecting my nomination form on Monday. 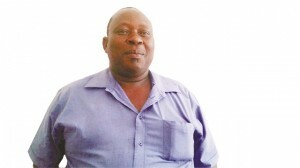 The beast I donated to the club I have already cleared it, all what is left is for it to be slaughtered,’’ Ndlovu said. Nicholas Nyathi and Methuseli Mafu, considered by many in Highlanders circles to be astute administrators fit to be in the Highlanders executive have decided not to stand in the elections. The two were recommended for board positions last year but some members felt that the duo should instead contest for executive positions where they could add value. The Highlanders board met last Friday to deliberate on issues to do with elections where it was decided that the submission date for nomination forms be moved to Saturday due to the disturbances which saw the club offices closed for better parts of last week. Initially, the closing date was meant to be yesterday but the Luke Mnkandla chaired board considered the prevailing situation and extended the date to 26 January. Mnkandla yesterday said unlike in the past, the nomination court will receive the forms and do the vetting on the same day so that the candidates are unveiled to the members at the club’s annual general meeting on Sunday. According to Mnkandla, there was never any consideration to postpone the elections with the only issue of concern being the closing day of nominations. “Our board met on Friday to come up with the nomination court but since we have time we decided not to finalise the issue. The committee we had last year did well, they might continue, we will make additions and subtractions where needed. Before Saturday we should know who is there,’’ Mnkandla said. Highlanders will hold elections to choose the executive vice chairman and treasurer, with those chosen by the members to occupy the positions for three years.